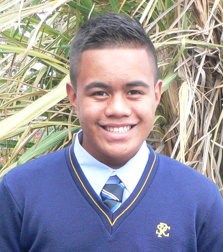 Fakalofalahiatu my name is Darius I am half niuean, half samoan . I am a year 8 this year attending Pt England school. I am a prefect this year I have a lot of responsibilities this year. These four emblems represent what values I treasure. I love to represent my cultures, religion and my favourite sports. My cultures have very beautiful island's and very wonderful patterns. I go to Equippers church in Manukau. I really like your visual mihi. I love your graphic representations of the things that are most important to you. Well done! Well Done Darius, I have spent a long time on your blog. There is plenty to see. You have lots of variety on your blog. I think your writing is very clear and you express yourself very well. You seem to have excellent expertise with ICT. 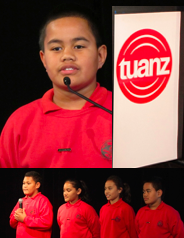 I particularly like your animation of Maori Migration. I learned a lot that I didn't know before. I liked the wig too. It shows you have a sense of humour. I thought your little brother was very cute. my children have attended the school where I work. My children would say that, that has advantages and disadvantages! I would be very interested to see a post about your opinion on the situation with Ben Barba. I know that you are a Bulldogs fan from seeing your visual Mihi. Do you think that the club are doing the right thing with him given the impact that it is going to have on their season?